Perception of being “bought off” by developers. 54% of donors in 2014 were developers. Only 10% of donors are individual citizens. Huge campaign spending seen as corruption of democracy. More donor shenanigans ? 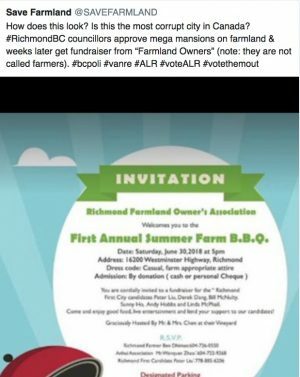 Getting thanks from the mega-mansion builders who apparently continue to stuff the bank accounts of “Richmond First” Derek Dang and cohorts with a BBQ. As tweeted, …. most CORRUPT city in Canada ? See here for the details. 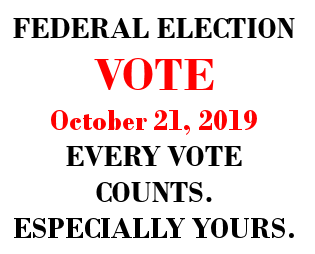 For a video provided by the candidate, click here.